Select your state below to go directly to that state's catalog. Welcome to I Need Credits. 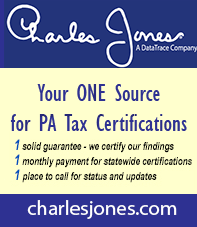 This site is for Pennsylvania title insurance professionals who need continuing education credits. Courses range from 1 to 4 credits. They include a series of courses on the ALTA Best Practices as well as Post Closing Issues, E-Recording and RESPA. All coruses are online so you can take the course and the proctored exam at your leisure. The main catalog contains a catalog of ALTA Best Practices courses or click the "Courses" tab to see individual courses as well. All are approved for conitnuing education credit in Pennsylvania. Upon completion of the course fill out the proctor affidavit and send it to Learntitle. We will submit your credits when we receive the affidavit. Learntitle is committed to providing title agencies with the very best onlinecontinuing education available. Because of our unwavering focus on quality education, we present these online continuing education courses all approved by the state of Arkansas. Anyone needing continuing education credits is welcome to sign up for a course. We have developed relationships with top subject matter experts to bring you continuing education courses that meet current needs of the title industry. Peruse the catalog and choose a course. Enroll today and take your time to finish at your convenience.